15 Jan 2018 marked what would have been the 100th birthday of quantum physicist Sheila Christina Power (1918-2010) of Galway city, remembered in modern times by her married name Sheila Tinney. She was a long-serving professor of maths physics at University College Dublin (UCD), where she worked from 1941 to 1978, at one time being the acting department head, and she introduced generations of students at Earlsfort Terrace and Belfield to quantum mechanics. She didn't marry until 1952, long after she blazed a trail as a student, postgraduate, UCD staff member and--in 1949, in the first cohort of elected females--as a member of the Royal Irish Academy. She attended the Dominicans both at Taylor's Hill in Galway and St Mary's in Cabra in Dublin. In 1935, she was one of only 8 girls nationally to get honours maths in the Leaving Certificate exam, a year in which 126 boys did so. 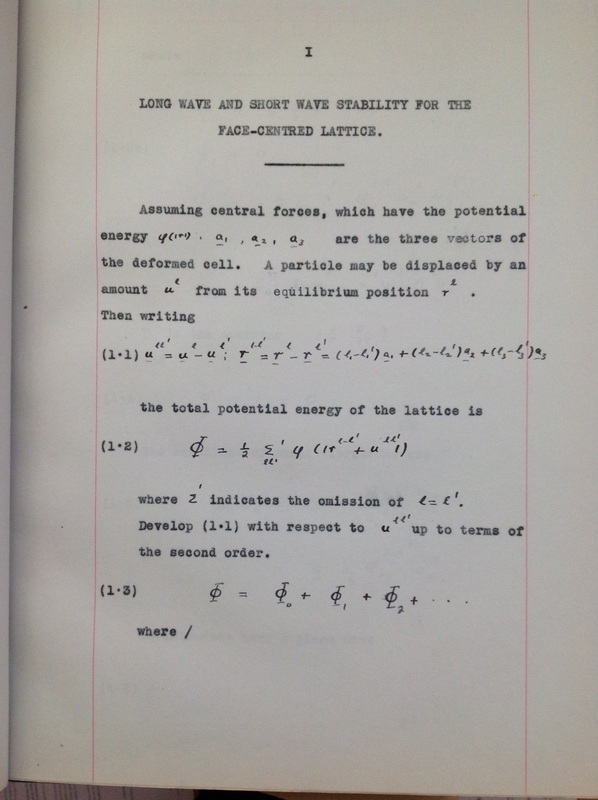 She then attended UCG (University College Galway, now the National University of Ireland Galway) for one year, where her father Michael Power (1885-1974) was professor of maths from 1912 to 1955, before switching to UCD. 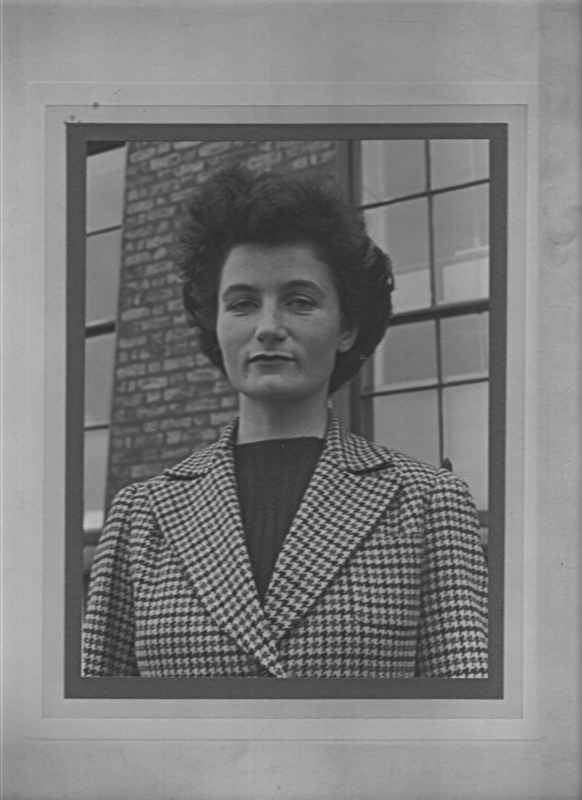 Her BSc in 1938 saw her at the top of her class, and her MSc in 1939 was accompanied by an NUI Travelling Studentship Prize, which enabled her to go to the University of Edinburgh. (Her Kilkenny born father had won the same prize 30 year earlier, also at UCD). In 1941, at the age of 23, she earned her PhD on "Stability in Crystals" under future Nobel prize winner Max Born (The MGP site just linked to lists a different title; a correction has been submitted). Following her PhD, Sheila Power returned to Dublin, joined the maths department at UCD, and was also appointed to a part-time associate researcher at the brand new Dublin Institute for Advanced Studies. 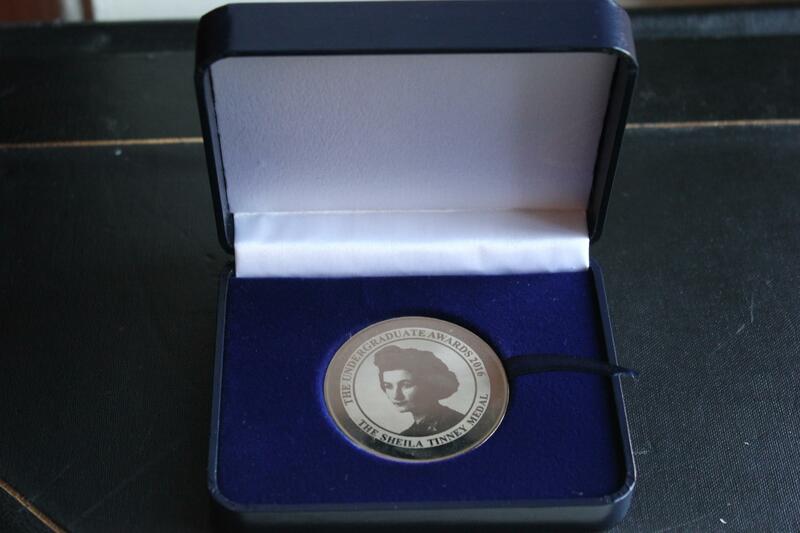 The DIAS head, Nobel Laureate Erwin Schrödinger, described her as "among the best equipped and most successful of the younger generation of physicists in this country". She was a regular participant in seminars and colloquia there, and is featured in many of the group photos of the period. 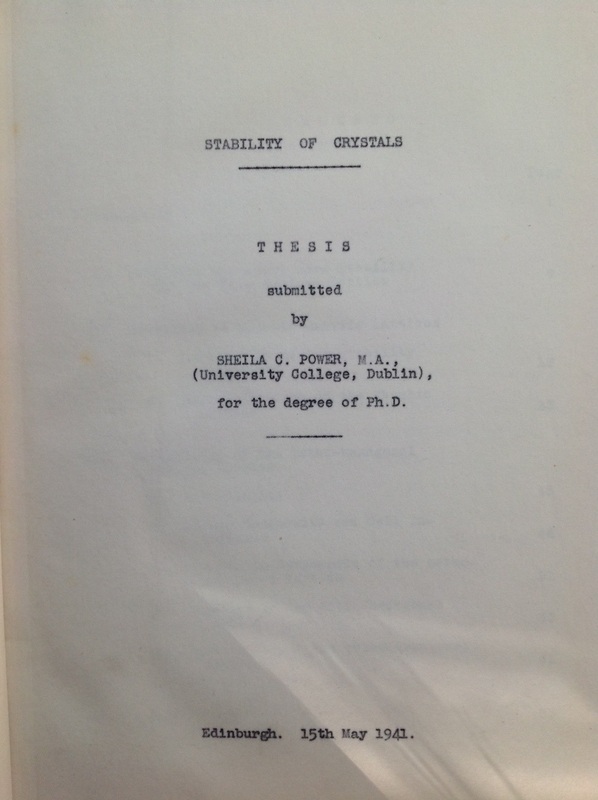 Sheila Power was promoted to statutory lecturer at UCD in 1945. 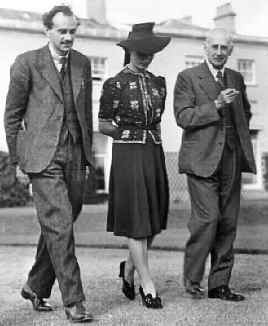 The academic year 1948-1949 was spent on leave at the Institute of Advanced Studies in Princeton (after which DIAS had been modelled), where she rubbed shoulders with Albert Einstein, Richard Feymnan, and Freeman Dyson. 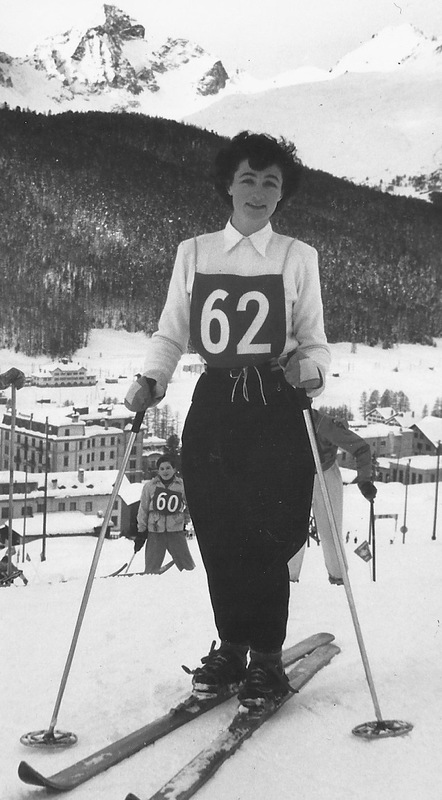 She also enjoyed horseback riding there--despite suffering a concussion following a fall when her horse was alarmed by a snake--and learnt how to ski. 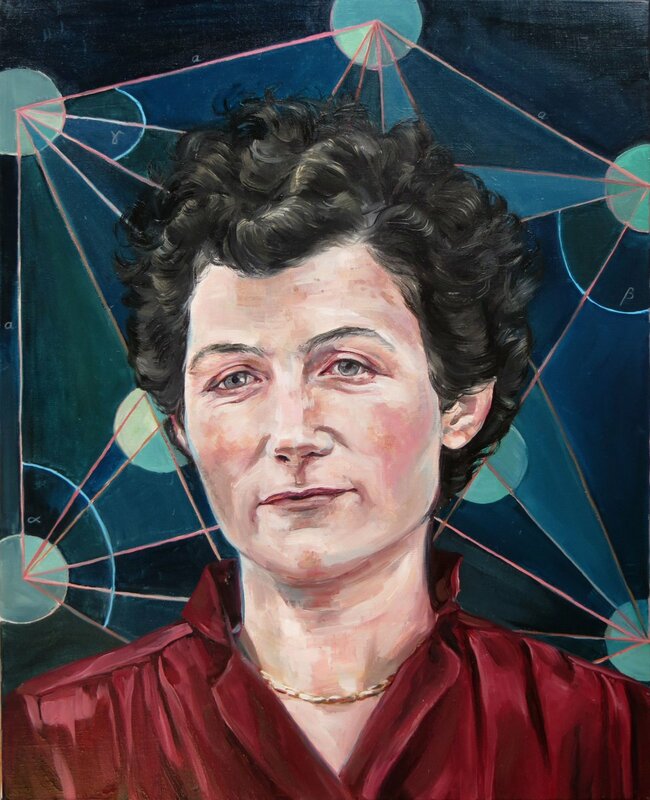 The wheels of Irish academic bureaucracy were slow to turn when it came to recognising high achievement by women, and it wasn't until 1966 that UCD promoted her to associate professor of quantum theory. 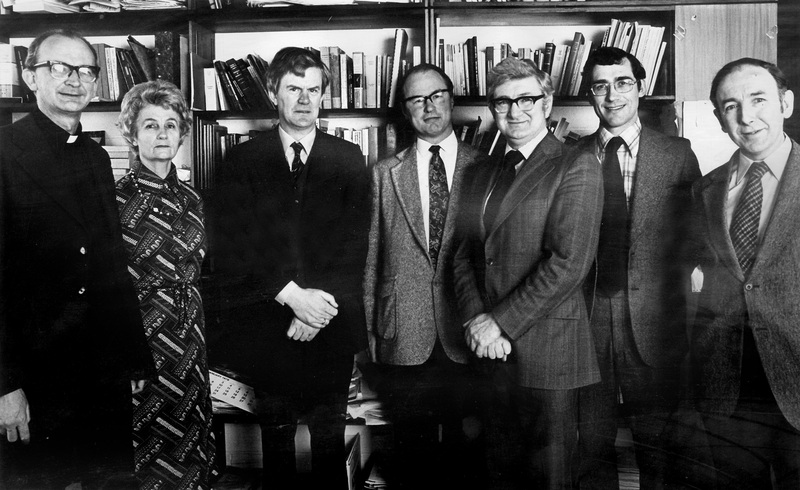 For many decades, she had a very heavy teaching load serving three constituencies: undergrads and postgrads in science, as well as notoriously boisterous engineers, one of whom, Seán Tinney, she married in 1952. He had a long career in the ESB, shared her love of music, and in time served as President of the Royal Dublin Society. Following early retirement in 1978, she found more time to devote to passions such as hill-walking, tennis, golf and her beloved piano, which she first become enamoured with thanks to her mother Christina Cunniffe. Her own three children have pursued various careers: Hugh Tinney is a distinguished concert pianist, Ethna Tinney (also a pianist) has been a producer with RTÉ Lyric fm, and Deirdre Tinney holds a PhD in political science from UCD. In the past few years, Sheila Power/Tinney's name and accomplishments have received some long-overdue recognition. The Undergraduate Awards chose Sheila Tinney as the role model of 2016 by giving every awardee a special medal with her likeness. That same year, the Royal Irish Academy honoured her along with eleven other Irish women academics by joining with Accenture to commission their portraits for the Women on Walls project. These became the first female images ever to go on display on the RIA walls, and the public unveiling was well attended. They can be viewed by the public today at Academy House, 19 Dawson Street, Dublin 2. RTE covered the story in detail in a March 2017 documentary. The whole 50 minutes long programme can be viewed here. What would Sheila Tinney--a gracious, kind, patient, hardworking and multi-talented woman who started her life a century ago at 9 St Mary’s Terrace, Taylor's Hill, Galway--make of all the fuss if she were here today? As her son Hugh observed in the video clip above, in the context of having her portrait painted, she'd have been tickled pink.